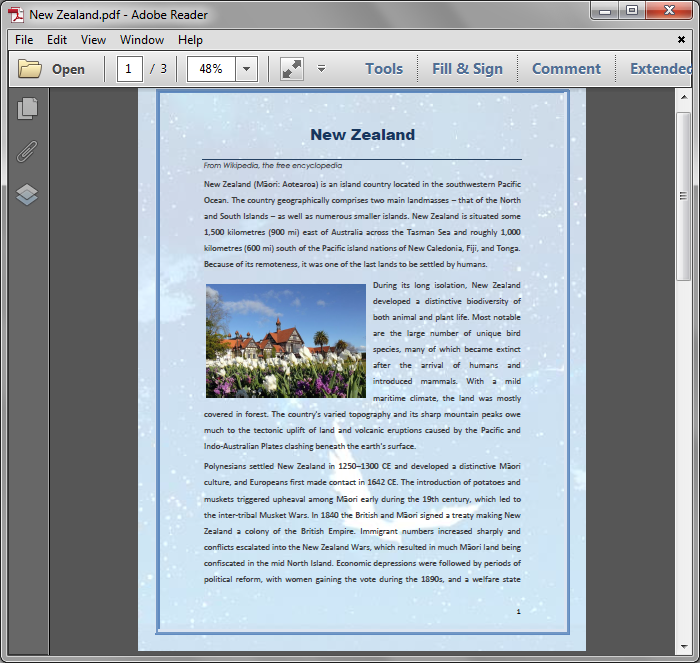 Spire.PDF supports to horizontally and vertically split a PDF page into two or more pages. This article will show you how to use Spire.PDF to accomplish this function. Step 1: Load the sample PDF file and get the first page. 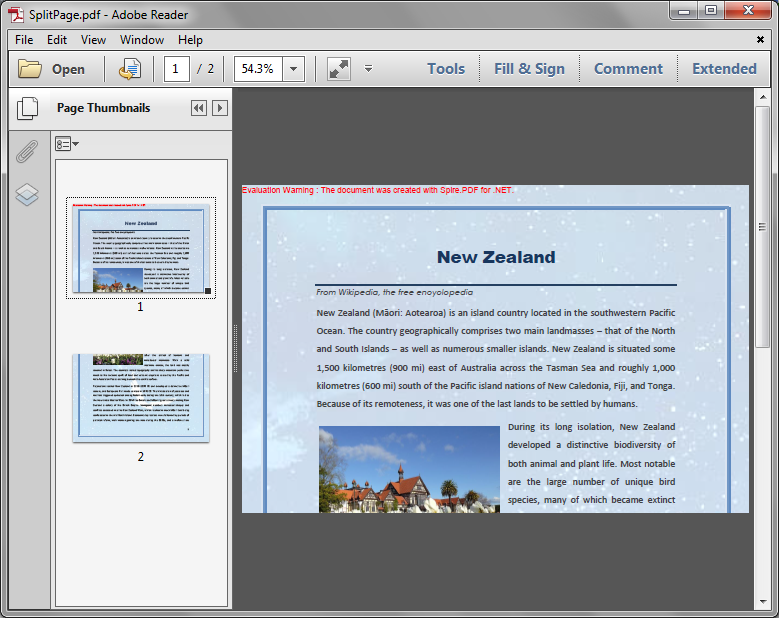 Step 2: Create a new PDF file and remove page margins. Step 3: Set page width and height in order to horizontally or vertically split the first page into 2 pages. Step 5: Add a new page to the new PDF file. Step 6: Create layout format. 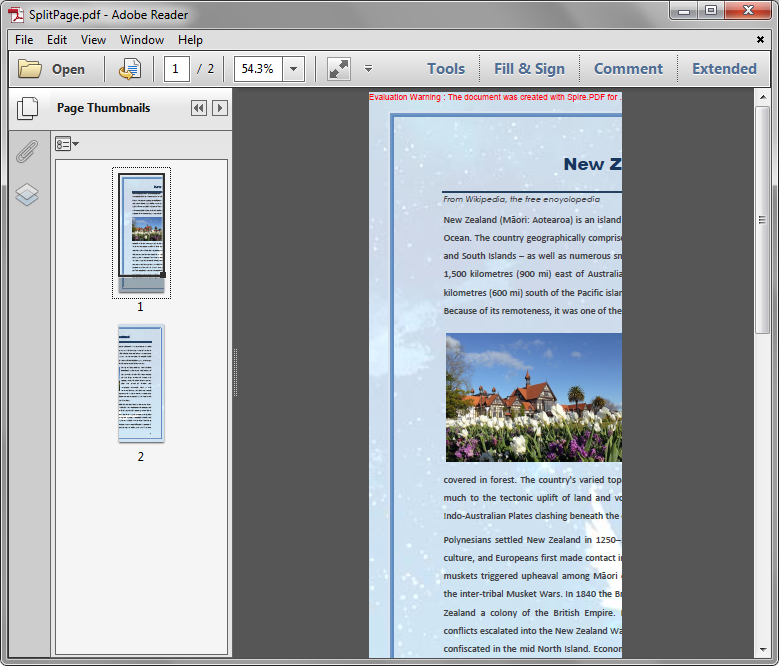 Step 7: Create template from the first Page of the sample PDF, and draw the template to the new added page with the layout format. Step 8: Save and close.